German Chancellor says European countries share concerns over Iran's ballistic missile program. German Chancellor Angela Merkel on Thursday said European countries shared concerns over Iran's ballistic missile program and called for solutions to its "aggressive tendencies" in the Middle East, Reuters reported. "Iran's aggressive tendencies must not only be discussed, but rather we need solutions urgently," said Merkel after meeting Jordan's King Abdullah in Amman. She announced 384 million euros (US$445 million) of aid to Jordan this year. U.S. President Donald Trump withdrew the United States from the 2015 Iran nuclear deal last month, but the deal’s remaining signatories - Russia, China, Britain, France and Germany - are scrambling to preserve it. Merkel said on Thursday that while European countries wanted to maintain the 2015 deal, they shared concerns over Iran's ballistic missile program, its presence in Syria and its role in the war in Yemen. Iran’s ballistic missile program and the deal’s failure to address it was one of the concerns cited by Trump in choosing to leave the nuclear deal. In Syria, meanwhile, Iran is a big military supporter of President Bashar Al-Assad, sending some of its own forces there and backing Shi'ite militias from Lebanon and Iraq who are fighting on the ground. Gulf and Western countries accuse Tehran of arming the Houthi group in Yemen, which it denies. 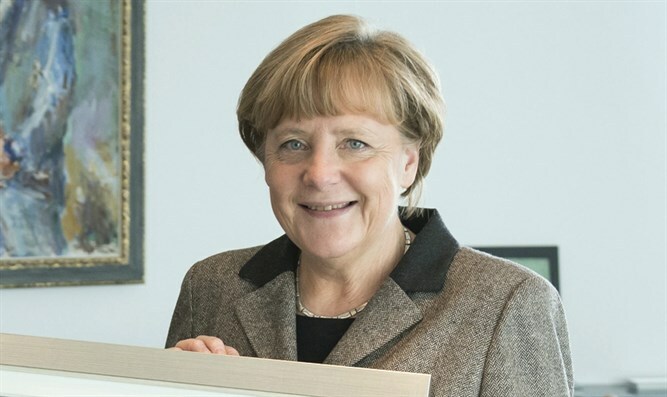 Merkel on Thursday also voiced support for Jordanian concern about Iranian activity in southwestern Syria, near its border and that of Israel, where Syria is ramping up a military operation. "You live not just with the Syria conflict, but also we see Iran's activities with regard to Israel's security and with regard to Jordan's border," she said, according to Reuters. Merkel said earlier this month after meeting Prime Minister Binyamin Netanyahu that the question of Iran's regional influence was "worrying, especially for Israel's security."